Swing and sway the night away to the sounds of the 1940s. Hot diggity dog … it’s the music of Glenn Miller, Les Brown, Dizzy Gillespie and a host of other Big Band biggies. 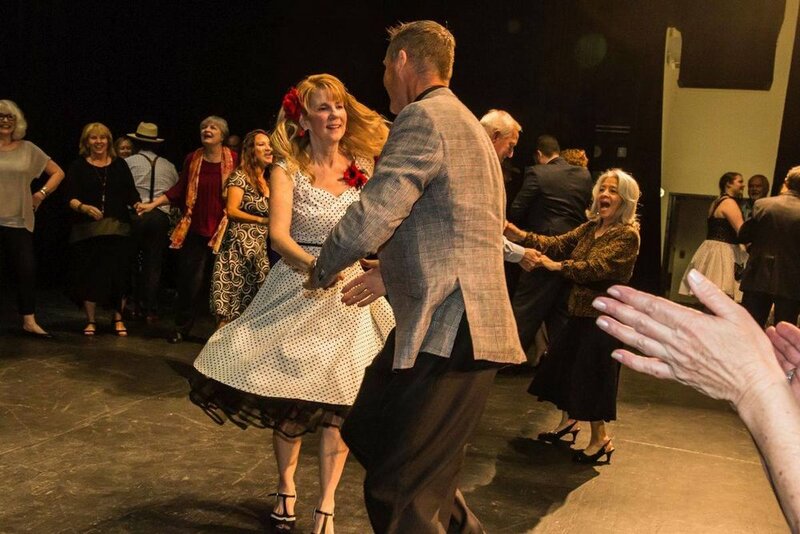 Swing dance lessons with Rob and Diane of YeahMan, an ice-cold Faust Craft Brew, heavy hors d’oeuvres and a concert designed to blow your mind are all included in the ticket price! Here’s the chance to learn how to swing OR show off your mad skills. Get spivvied up, grab your Doll, and be-bop at the Swingin'est Party of the Year!